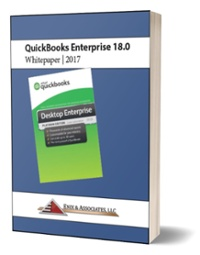 Question: Can I run a report in QuickBooks Point of Sale that shows the type of payments we took for a particular month? I would like to see a summary as well as a detail by type. I received a QuickBooks Point of Sale support call this week from a customer who was having difficulty connecting the client workstation to the POS data file which resides on a 2nd computer (the "POS Server workstation"). This week, one of our clients contacted us for help issuing a credit in Point of Sale. Issuing store credit is essentially the same as taking payment on account. The same procedures are used in both situations. New clients frequently ask "What is PCI compliance?" The next question is often "...and do we need to comply?" Strictly speaking, the answer is yes. If you process even one credit card transaction per year, you are responsible for PCI DSS compliance. This week, I received a call from a new Point of Sale client wanting assistance with QuickBooks gift cards. Question: How do I tell how much money is left on a gift card for a specific customer? 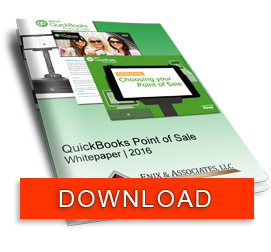 To get the most out of your QuickBooks Point of Sale (POS) system, we recommend you customize your interface to better reflect your company's needs. When it's time to ring up a customer, this will allow you to do so efficiently. Repeating tasks in QuickBooks can be a positive thing. Repetition can build a sense of familiarity with a process, making it easier to complete quickly with little thought. However, mistakes are bound to happen when tasks are completely quickly with little thought.